I have been flooded with emails from people asking me about the recent media report that there is no evidence to support the benefit of omega-3 fatty acids in heart disease (1). In this age of social media, no one seems to do any real detective work. I may be one of the few who still does especially when it comes to omega-3 fatty acids. So, what are the facts about this recent report that have generated all the press attention? A group of researchers scanned the public literature for published trials using the keywords, mortality, omega-3, fish oil, etc. They came up with 79 published trials with 112,000 subjects. Then they rejected 2/3 of those trials because they made the judgment that the rejected trials were “not trustworthy or well designed”. Of course, this begs the question how did those rejected trials become published in the first place unless they were well-designed and trustworthy? That’s why we have a peer-review system for the publication of scientific trials to prevent fake medical news like you find in internet blogs. I assume that since 2/3 of the published trials were rejected, then the number of subjects remaining would be about 1/3 of the starting number or about 37,000 subjects. This is called a meta-analysis study. This means you take a lot of differently designed trials with different protocols and mix them all together to come up with a definitive conclusion based on the “wisdom of the crowd”. In reality, this is the scientific equivalent of making sausage. This meta-analysis study included trials using plant-based omega-3 fatty acids, other supplements of variable purity and dosage, as well as subjects simply eating more fish. 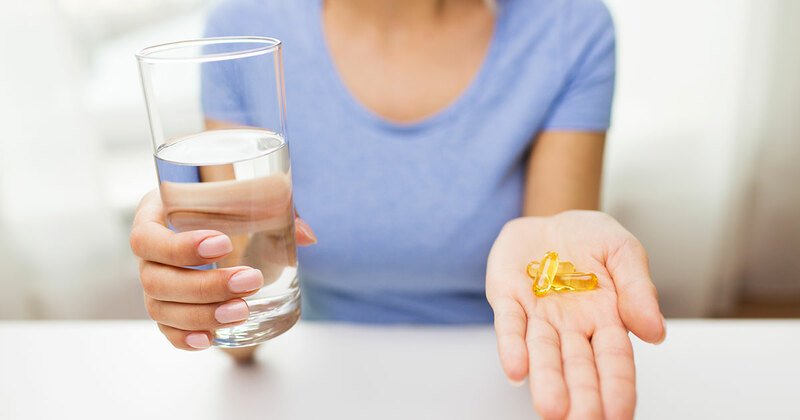 The one thing to note about plant-based omega-3s is that only 1-10% are actually converted into EPA and DHA where the true benefits of fish oil come from. You would think that while these researchers were throwing out 2/3 of the published trials, they would have made a little more effort to focus on the type of intervention that was left behind. Next, you would hope they would only include those trials where the levels of omega-3 fatty acids in the blood were actually measured to see if there might be a dose-response relationship between the levels of omega-3 fatty acids and the measured outcome. Oops, they forgot to do that. This would have been important because then they could compare their result to trials done in Japanese populations which are considered the gold standard for the correlation of the consumption of high levels of omega-3s and decreased risk of cardiovascular mortality. There are a large number of Japanese trials on this subject including the largest cardiovascular trial ever done using omega-3 fatty acids in cardiovascular patients (2). If the levels of omega-3 fatty acids in their meta-analysis study were not close to those found in the Japanese, then it would mean that they were not giving adequate levels of omega-3 fatty to see an effect. Finally, these trials should have been done over a long period of time. This is because heart disease and its complications (like death) take a long time to develop and a correspondingly long time to improve. The length of the studies used in their analysis was between 1 and 6 years with most trials in the 1 to 2-year range. This suggests the time course of the study was too short to observe clinical results even if appropriate amounts of omega-3 fatty acids were to be used. What if a drug study tried to get published with the same lack of scientific rigor? I think you are beginning to see this wasn’t a very good study to begin with. This is to be contrasted with another study published on the same day in the Journal of Internal Medicine using 421,000 people that were followed for 16 years using fish oil (3). This study contained 11 times more subjects who were being followed for a much longer period of time. Somehow, the conclusion of that study was the opposite of the media darling. In this study, there was a significant reduction in total mortality (9% reduction), cardiovascular mortality (10% reduction), cancer mortality (6% reduction), respiratory mortality (20% reduction), and liver disease mortality (37% reduction). When the highest quintile (i.e. highest 20%) of fish intake was compared to the lowest quintile (i.e. lowest 20%) of fish intake, the reduction in cardiovascular mortality was even greater. This is known as a dose-response effect. Two different studies published in two different journals on the same day with dramatically different results. Yet only one gets reported. Whatever happened to scientific journalism? The reason that omega-3 fatty acids work is because of their ability to generate powerful hormones known as resolvins. Resolvins are generated on demand to turn off (i.e. resolve) inflammation. This means you have to keep the reservoirs of omega-3 fatty acids in the body continually filled. The level of this resolvin “gas tank” can be measured by the AA/EPA ratio. If the AA/EPA ratio is low, the tank is filled. If the AA/EPA ratio is high, then the tank is nearly empty. The Japanese have an AA/EPA ratio between 1.5 and 3. Americans have an AA/EPA ratio greater than 20. Europeans are only slightly less inflamed than Americans. The higher the AA/EPA ratio, the fewer resolvins you can make and the more inflamed you are. This means the AA/EPA ratio of the average American is about 7 times greater than the Japanese and therefore estimated to be 7 times more inflamed. Not surprising, the cardiovascular mortality rate for the Japanese is 7 times lower than Americans, even though the LDL cholesterol levels are the same for both populations (4). This is why unless you are measuring the AA/EPA ratio in these omega-3 fatty acid studies you always get conflicting results. If you don’t resolve inflammation, then it continues to linger below the perception of pain, causing increasing organ damage that eventually results in chronic disease. This is why it takes decades for chronic disease (like heart disease) to develop, and also why it takes a long time to repair the accumulated damage. Of course, if you take omega-3 fatty acids for a long period of time (like 16 years), you can begin to repair the prior damage and be less likely to die. This final fact was confirmed in another recent study that indicated the lower the AA/EPA ratio you have, the less likely you are to die (5). Bottom line, you should be just as careful of reading fake medical news as you should be in reading the fake political news.